Comments: Deciduous broadleaf native to China and Japan. Large oval to lobate green leaves similar to Catalpa. Large purple flowers in Spring. Fast growing with some reports of 12' to 18' per year. Mature height 50' to 60'. 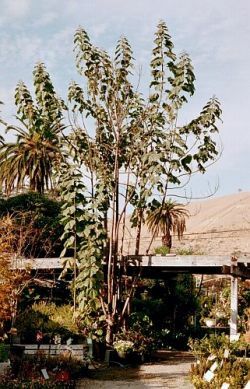 Also called an Empress or foxglove tree.